"Is the Foundation of Morality Natural or Supernatural?" 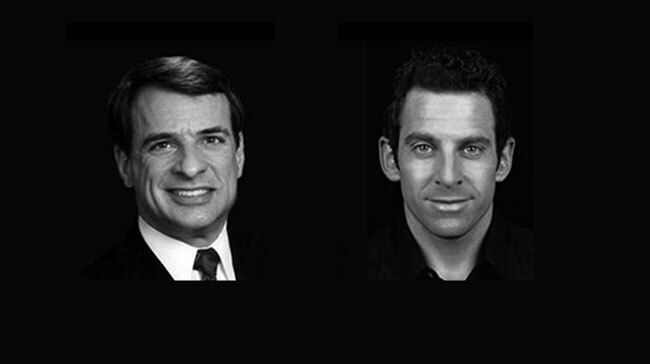 debate with William Lane Craig and Sam Harris. Kevin Harris: This is the podcast of Reasonable Faith with Dr. William Lane Craig. Thank you so much for being here. We know you've been waiting to hear about all that's been going on in the life of Reasonable Faith with Dr. Craig, in particular these two major debates that have occurred not long ago. And now, Bill, we're at the Sam Harris debate—another debate that was watched, anticipated, a lot of talk after it. We're probably going to spend plenty of time on this. But why do you think these last two debates in particular have been important? Dr. Craig: Well, I think Sam Harris, in particular, is an extremely high profile figure and opponent of religious belief in American society. Next to Christopher Hitchens he's perhaps the most rhetorical of the four horsemen of the New Atheism, and has certainly been a popular best selling author. And he was the fourth of these so-called four horsemen that I had yet to meet in a public encounter. I had already debated or dialogued with Hitchens and Dennett and Dawkins on previous occasions, and so to finally meet with Harris in an open debate situation was the culmination of a long period of waiting. Kevin Harris: Very much a popular author. His book The End of Faith, best seller; Letter to a Christian Nation—another one. Kevin Harris: He's got a new book out and it was the topic of the debate – The Moral Landscape. That really was the impetus for this debate with Sam Harris, because I know people have been calling for it for a while, since The End of Faith came out and was such a popular book. He was so popular as representative of the New Atheism, and emerging as a major spokesperson and having this big platform. So this has been some time in coming. It is telling that Sam Harris' book The End of Faith, which put him on the map, was begun the day after 9/11. And so while you can't fault the content of the book because of that, it definitely was a visceral reaction against religion because of what happened on 9/11. Dr. Craig: Yes, and Christian conservatives tended to be tarred with the same broad brush as Islamic jihadists, and that sort of lumping of all religious people together has been very characteristic of the New Atheists. Kevin Harris: The Moral Landscape was a book that really needed to be debated in that this is an area of work for you, as well. And the fact that Sam Harris, as an atheist, believes that there are objective morals, I think that really made for an interesting debate, too. Dr. Craig: I did, too. That was one reason I was eager to debate the topic with him, because he affirms both that objective moral values and duties do exist – he inveighs against what he calls these over-educated moral nihilists and relativists who deny the objectivity of moral values and duties – and moreover, Kevin, he significantly thinks that there needs to be a foundation for objective moral values and duties. He's not happy to simply say they are brute facts that simply hold. Rather he wants to provide an explanation or justification for the objectivity of moral values and duties in science. And so this just set the platform for a great debate because we would have so much in common. We would both come to the debate affirming the reality and objectivity of moral values and duties, and the need for some sort of an explanatory foundation for the objective moral values and duties that exist. And so given that common ground you have the makings for a really interesting debate. Kevin Harris: What's interesting, also, is how so many people – Christians, non-Christians, atheists, the New Atheists – tend to overlook the content of the debate so often because there's an excitement about the competitive nature of this, and the sides are picked and the battle lines are drawn. You know from Sam's opening statements that he said, “I've received so many emails from people saying 'Don't blow this; don't blow this. Dr. Craig is a force to be reckoned with. '” He paid you a compliment there, that you put the fear of God in atheist thinkers. I also know behind the scenes a little bit that he received all this coaching—'now, be ready for this.' I've got to say because of all that, Bill, what emerged to me as I watched the debate unfold was that his strategy tended to be 'I'm not going to play along with the control of this debate,  and I'm going to get out the things that need to be said.' And that is a railing against Christianity. Kevin Harris: What we saw there was a litany of red herrings. And you came back and said, “Look, what's up with all the red herrings?” So the rebuttal was – I'm just going to tell you straight up – it's as if Sam went to a junior high campus (nothing against junior highers), gathered up all the oppositions and objections to Christianity, and then read them out. Now, I'm just going to have to say I don't appreciate that strategy because he used a bully platform, in my opinion, and he took advantage of this to get out his pet peeves against the Christian faith and religion in general by going though all of these things that had nothing to do with the points that you made. Dr. Craig: Or with the topic for the debate that evening. Kevin Harris: The topic for the debate. Dr. Craig: The topic of the debate was “Is the foundation for morality natural or supernatural?” This was the topic that he and I both agreed upon in our email correspondence with Micheal Rae – the organizer of the debate – prior to the debate being held. And that topic is significant, Kevin, because the question 'is the foundation of morality natural or supernatural?' presupposes that there is an objective morality, and, significantly, it presupposes that it has a foundation. It just simply asks to identify what that foundation is. So the terms of the debate topic were quite clearly stated, and had nothing to do with doctrines of hell or Christian particularism, or the other sorts of red herrings that he wanted to raise. The leap from “is” to “ought.” Now, that's one of the most anticipated things that people were wanting him to do. Can he make that leap? Well, do you think he did? Dr. Craig: Well, I didn't hear a response to that, Kevin. I was taking pretty careful notes. In fact, if I might say, one of the things that struck me in seeing some of the clips from the debate afterward is that whereas I take very careful notes on what my opponent says, so as to respond to his particular points, Harris didn't appear to be taking notes at all on my arguments, on what I was saying. He just seemed to be sort of sitting there, and then getting up and, as you say, kind of giving his spiel, but not really engaging in the arguments under debate. And that's part of the responsibility of a debater, is to clash with the opponent's arguments. You're obligated in a debate to engage the arguments that your opponent has offered. And he seemed to decline to do that, and seemed to think that that was a clever strategy. Kevin Harris: Yeah, I just noticed a little bit of typing into his laptop, and it was probably wikipedia.com [laughter] – now, I'm just being antagonistic – but come on! These points on a book that he's been very careful to write needed some response. Dr. Craig: Oh, they did. And a book that I was very careful in reading and analyzing and attempting to interpret charitably, attempting to understand what he was saying, because sometimes it wasn't always clear. Some of his statements seemed to be contradictory. So I tried to understand his moral theory, and then to offer a critique of it. And I had three points by way of criticism of his moral theory, one of which I presented as a knock-down argument against the theory. It's what he calls the value problem—that's his own label for this problem. In his editorial in the Huffington Post, in response to his many critics, he identifies this as the value problem. And I argued that his answer to the value problem was not simply inadequate but that there was a knock-down objection here to his moral theory with respect to the value problem. Kevin Harris: Let's camp on that a little bit. Dr. Craig: Well, alright. And then in additional to that I had two objections to his views of moral duties, as well, but we can talk about those later if you want. Kevin Harris: Well, let's keep it going. Because it's not very often, as you said in the debate, that you can find a knock-down argument, philosophically. Kevin Harris: Let's understand where that was, and it had to do with identity. And the problem is that he admits that it's possible that the moral landscape, that is to say, the highs and lows of moral values, good at the peaks and bad at the valleys, that that moral landscape, he said, could fall apart from the landscape of creaturely well-being. You could have a possible world in which the peaks of well-being were occupied by morally evil people – rapists and thieves and psychopaths, people like that – and in that case he says, he admits this in his book, that his so-called moral landscape would no longer be a moral landscape. It would just be a continuum of creaturely well-being, but it wouldn't map morality—it wouldn't map the moral landscape. So what that means is it's possible that goodness and creaturely well-being are not identical after all. Well, as any logician would tell you, identity is a necessary relationship. For example, there is no possible world in which three is not equal to the square root of nine—these are necessarily identical: three and the square root of nine. If there is any possible world in which two things are not identical, then they're not in fact identical, because identity is a necessary relation. So by admitting that there's a possible world in which the continuum of creaturely well-being is not the moral landscape he admits that these are in fact not identical after all, that goodness is not identical with the flourishing of sentient creatures. And that means the whole moral theory collapses, because that is at the center of his moral theory, is the identity of those two properties. Kevin Harris: Now, he's a philosopher. Did he understand this? Dr. Craig: That's a real question. He has an undergraduate degree in philosophy – he's a neuroscientist – I don't know if he understood it. He has been posed the value problem, as I say, by his critics. He recognizes that it's a problem, but he doesn't get beyond the simplistic answer of saying 'I've redefined good just to mean the well-being of conscious creatures.' I'm not aware of anybody who has pointed out this self-contradiction in his book that occurred to me as I read it. So I felt that this was, as I say, not just a good objection, this is a knock-down objection to his moral theory, and he owes his critics some sort of a response to this. You can't just pretend that it wasn't said in the debate, and go blithely on. Kevin Harris: Well, once again, his response was in essence 'Christianity is a cult of human sacrifice.' It's like he was applauded for being bold, by not playing Bill Craig's game, and getting his barbs in there. Making sure that he got his sugar sticks and his pet peeves there. Dr. Craig: Yeah, I saw one blogger who thought it was great that at a Catholic University he really stuck it to the Catholics . . .
Kevin Harris: Stuck it to them, yeah. Kevin Harris: It's cynical to applaud cynical jabs and say he stuck it to those Catholics and he didn't play Bill Craig's game and he got those needed barns in there. Well, why not go all the way and just turn around a moon the audience. [laughter] Just drop your pants and moon the audience and then you'll really stick it to them. Logically that's what you're doing if you're not going to engage the topic of the debate and then try to answer what's on the table. It seems that he's trying to get from 'science can measure flourishing' and so that somehow can give us a scientific basis for objective morality. Dr. Craig: Exactly, Kevin. I think you're right on target. And, as I said in the debate, I don't have any quarrel with the claim that science can tell us a good deal about what contributes to the flourishing of the human species on this planet, just as science can tell us a great deal about what contributes to the flourishing of corn, or mosquitoes, or rats. Of course science can tell us a lot about what conditions would be conducive to the flourishing of sentient life on this little planet. But what I challenged him to show, and what I frankly don't see, is why on naturalism we should identify the flourishing of conscious life on this planet with goodness? Kevin Harris: Who has he read in moral theory? Dr. Craig: In the Huffington Post article where he responds to book reviewers, that's where he gives the most substantive interchange with some professional philosophers and ethicists—not so much in The Moral Landscape as in this Huffington Post editorial. He does try to answer some of his critics. The book, Kevin, was, if not uniformly panned, just very widely panned. It was given very negative reviews by professional philosophers and ethical theorists. And so I'm not alone in making these criticisms. And he did attempt to give some interaction and response to them in that editorial piece. Kevin Harris: I guess more importantly, as a neuroscientist, did you see how neuroscience and the future of neuroscience would play into any of this? Dr. Craig: A lot of it was hand-waving. He admitted that a lot of this is still speculative. But he would insist that that doesn't mean that we shouldn't think that the flourishing of conscious life on this planet isn't good, and that as we learn about brain states that this will give added insight into what brings about human flourishing. But there wasn't a whole lot of specific content, frankly. Kevin Harris: You said at the beginning of the debate that the debate topic was not to prove that God exists or to give evidence for God, but that God played into it. What was your strategy there? Kevin Harris: But it seems at times he tried to draw you into that debate, and rather than let it go – which you'd have been in all your rights to do because it wasn't on topic, when this stream of red herrings came out – you just said, “Look, if you want to debate this topic, we will. And if you're wondering about some of the things that Mr. Harris is saying here there's a good book out by Paul Copan. Kevin Harris: Then you got back to the debate. Dr. Craig: Right, I thought about this, Kevin. What should I do if he brings up all of these red herrings? And the danger is, if you don't say anything about them then it leaves the audience with the emotional impact of the objection. But if you give in and you start following those red herrings down that other path you will lose the thread of the argument, that is to say, you'll wander off topic, and you'll get enmeshed in an endless debate of irrelevancies,  and the central issue in the debate will be lost. So I felt that what I had to do was identify them as red herrings, refuse to be distracted, and then just refer the students to some additional resources on our website as well as Paul Copan's book – which I had physically with me to show them – and hope that that would at least give the students some indication of where they might go if they did want to explore those issues further. But then to just leave it at that and live with whatever emotional consequence there was, and return to the topic for debate, because I wanted to defend my contentions and especially to hammer home the inadequacies of his ethical theory. Kevin Harris: Bill, I just have a question for anyone who is applauding what Dr. Harris did at this point, to go off on this litany of red herrings, and what I call hill billy theology and shallow objections: is that what you want debate to become? I would ask that—is that where you want intellectual discourse? Do you want it to become cynical, snide, competitive, one-upmanship, zingers, and best lines of the night? Then bring a comedian inbecause a comedian could – that's all Bill Maher could do, he'd come up with a funny line. He'd give the junior high objections to the Christian faith and then give you some zingers. Okay, it's entertaining, but come on. Dr. Craig: Yeah, honestly, Kevin, although this may be surprising to some of the people in the free thought community, my sincere interest is having a substantive exchange of ideas on these important questions, and not just scoring rhetorical points, or winning a debate. I thought I had very interesting criticisms of Harris' moral theory that I really wanted to press, and was anxious to hear how he would respond. And so my interest is in having a real, honest to goodness, substantive debate. And that was what the organizers of the debate wanted, Kevin. They had a debate there last year at Notre Dame and it was one of these rhetorical, fluffy slugfests. And Micheal Rae, who is a Professor of Philosophy at Notre Dame, said when he asked me to debate Harris, “We would like to have a more substantive, intellectually responsible discussion this year.” Students at the University of Notre Dame, no matter what their major, are required to take two philosophy courses and two theology courses as part of their undergraduate education. So this is a fairly sophisticated audience. And Micheal Rae and the organizers of the debate felt that they owed it to the students to give them a more substantive intellectual exchange than they had had last year. And that was what I was anxious to do. Kevin Harris: Bill, this is the first time that I've seen you actually get a little bit perturbed. You were calm, civil, but especially with the questions that started coming up. I mean, first of all you saw that obviously there weren't going to be substantive responses, but there was going to be kind of a demagogic bully platform. That's enough to say, 'Come on, let's salvage this.' But then the questions that people started coming up with and asking. Dr. Craig: Yes, everybody has commented on the level of the questions that were asked. And I think what needs to be understood is that these were not necessarily University of Notre Dame students. The Michiana Skeptics Society from Southern Michigan and Northern Indiana were there in force. And they go for the mics right away when the Q and A time comes up. And you could see from the level of the questions that this was really, I think, one of the poorest Q and A periods that we've ever had following one of my debates. Kevin Harris: Yeah, and I don't think there's really been a debate that you've just said, “Look, I'm not going to dignify that with an answer. It's obvious what you're trying to do here.” And the moderator also. Dr. Craig: Yeah, it was a set-up. It was clearly not a sincere question. Dr. Craig: But it was designed to trap me. And I'm just not going to play that game.